So Shin Megami Tensei IV was announced for North America two weeks ago. Nintendo Direct was this morning. Put both together and you got… more SMT IV news! This time around it’s about the Special Edition that’ll come with all first-print all first print copies of the game. It will come with the game of course, along with a Soundtrack CD, Artbook/Strategy Guide, and a slip case for it all. Looks like Atlus is paying attention to what XSEED for The Last Story. For those wondering why the game was $50 dollars instead of $40, this is why, and this is pretty damn sweet. 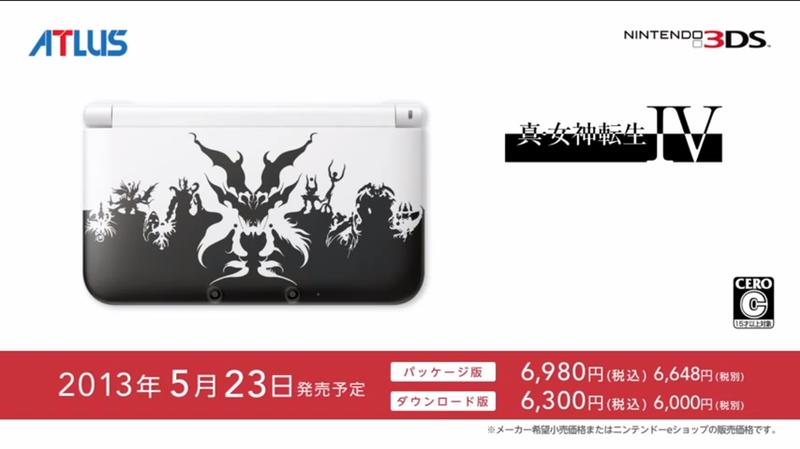 Still wondering if we’ll be getting that SMT IV 3DS XL (god what a mess of initialisms). Also, it’s now official that it will release on July 16th. 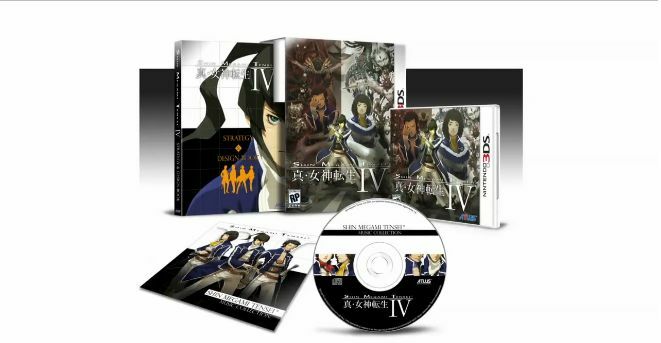 This entry was posted in Gaming News and tagged Artbook, Atlus, 真・女神転生, 真・女神転生ＩＶ, music CD, nintendo, Nintendo 3ds, shin megami tensei, Shin Megami Tensei IV, SMT IV, Special Edition on April 17, 2013 by Steven T..